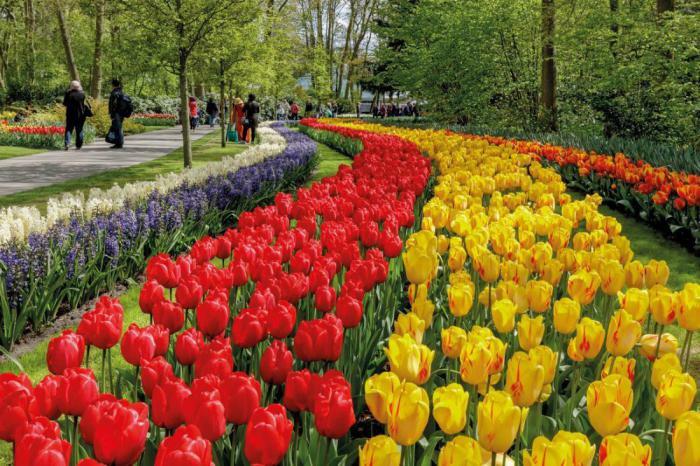 In the Dutch city of Lisse, is the most famous Royal flower Park Keukenhof. 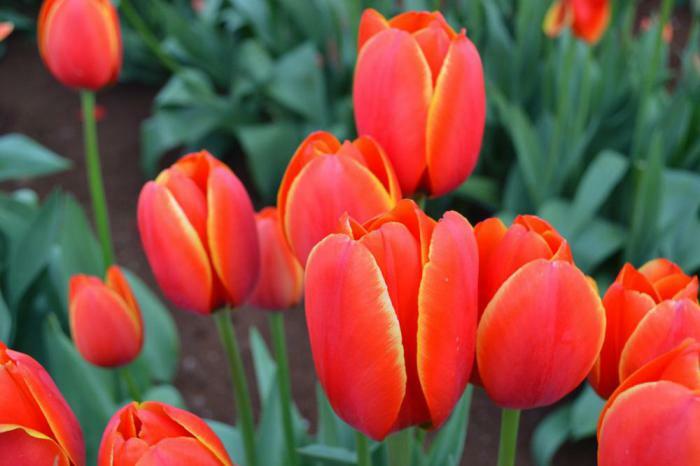 Every spring here for eight weeks, is a Grand Festival of tulips. 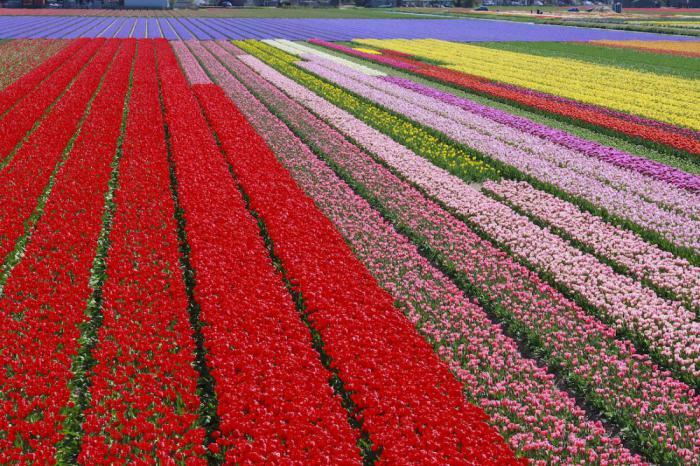 Seven million flowers literally carpet the Park is colorful “blanket”. 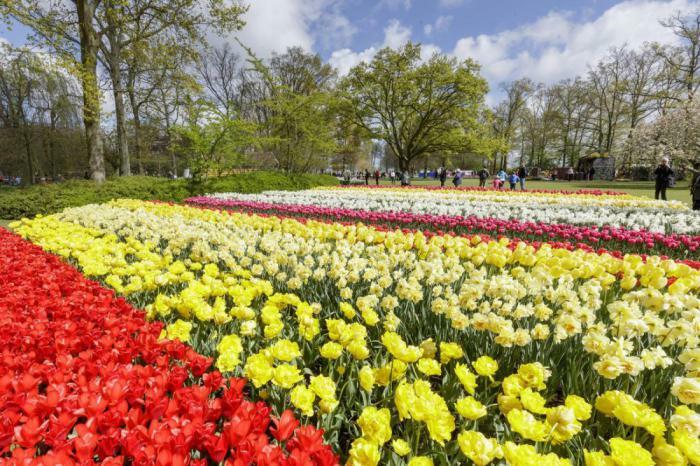 More than a million people visit each located near Amsterdam in the town of Lisse, to participate in a unique floral extravaganza. 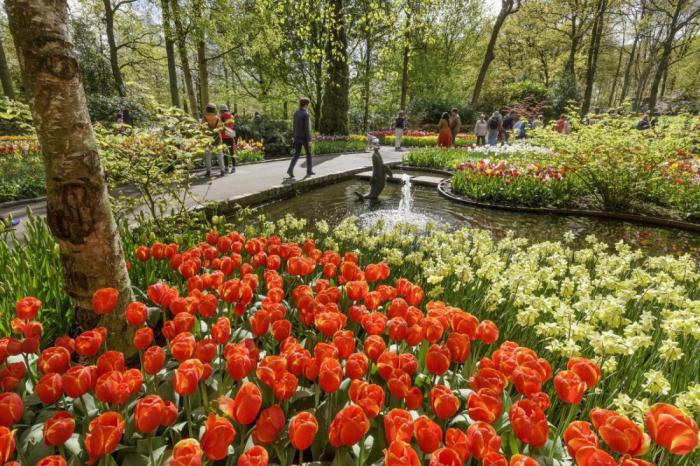 Tourists and gardening enthusiasts from all over the world are attracted to the stunning Keukenhof flower arrangements. 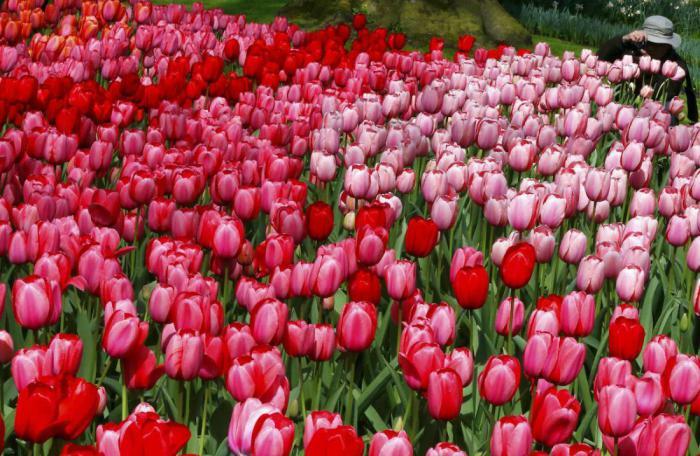 Regardless of whether you love tulips or not, this Park is worth to visit it. 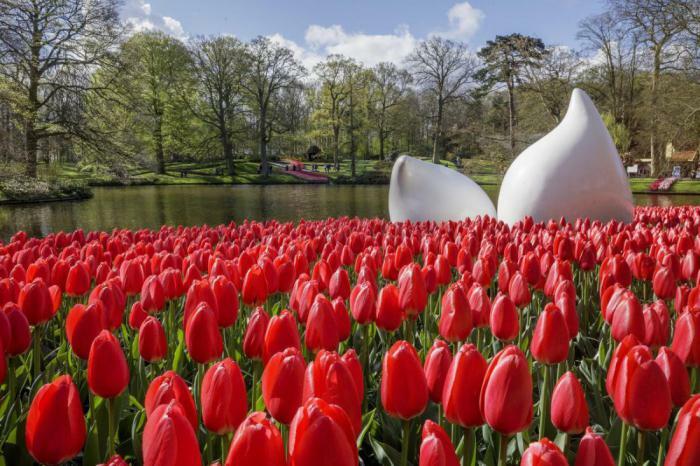 In 2018, the flower Festival will be held here from March 22 to may 13. 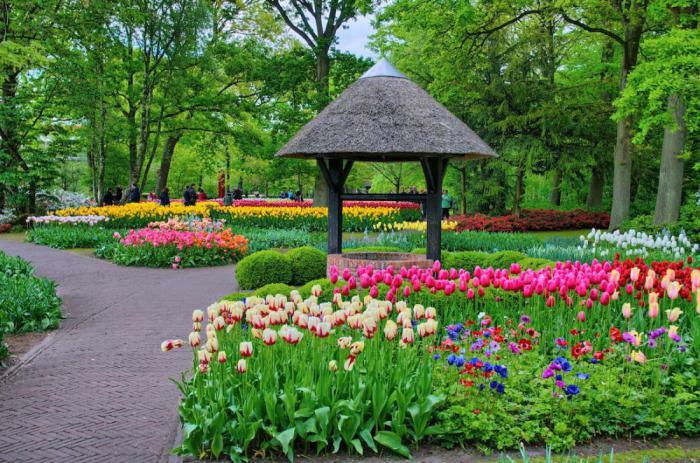 Idyllic Park is located just 26 km South-West of Amsterdam in Lisse. 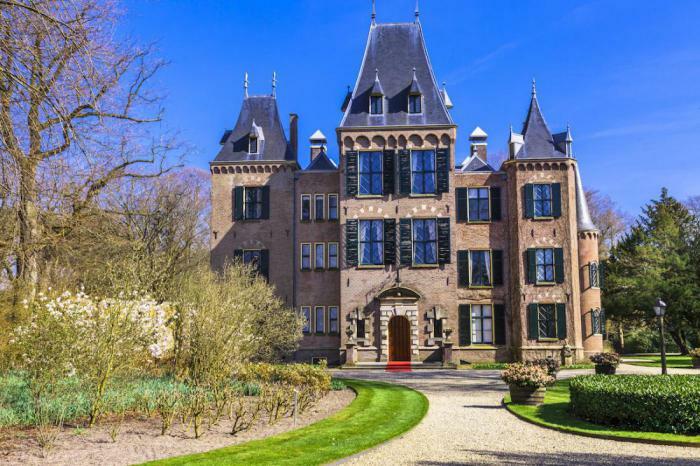 Its history began in 1641, when the castle was built. 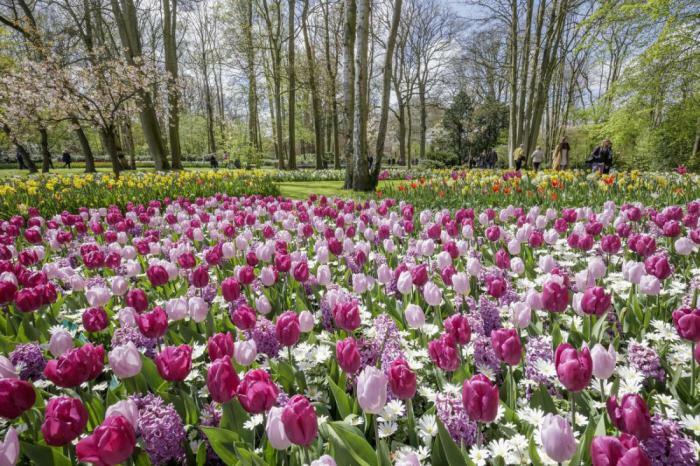 “Kitchen garden” - that means in translation from the Dutch Keukenhof, because originally the territory of the modern Park was used as a garden. 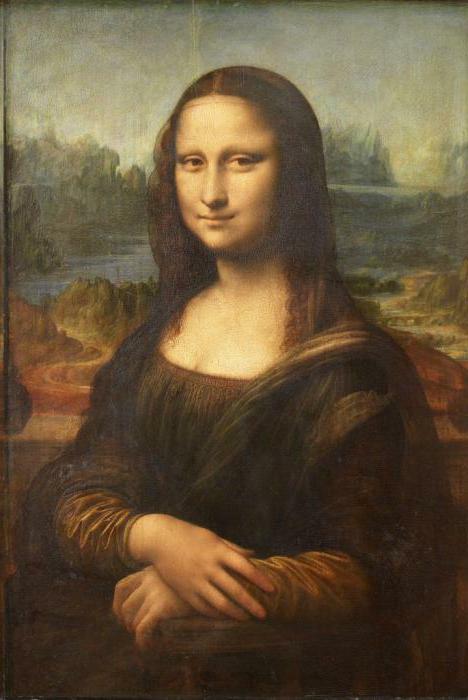 In 1857, landscape architects broke the English-style Park on the former gardens of the old castle. Today, he keeps the same style. 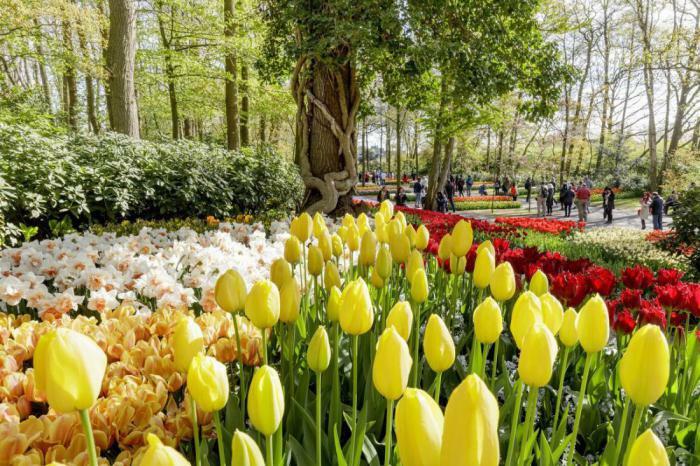 the Annual Tulip festival in Keukenhof has been held since 1950, when the Royal Park was first opened to the public. travellers come Here from all over the world. 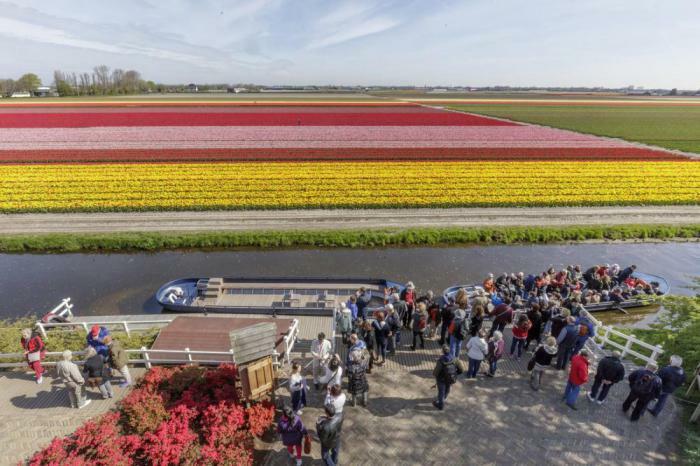 there are more than 20 floral representations, which are attended by 500 growers. 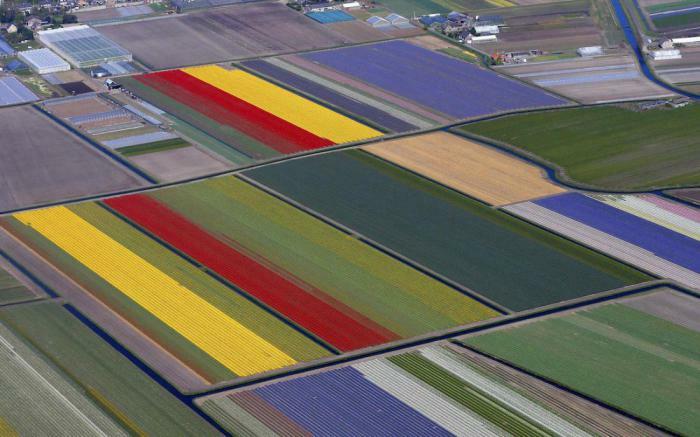 Planted only 7 million Tulip bulbs 800 varieties in 79 acres. 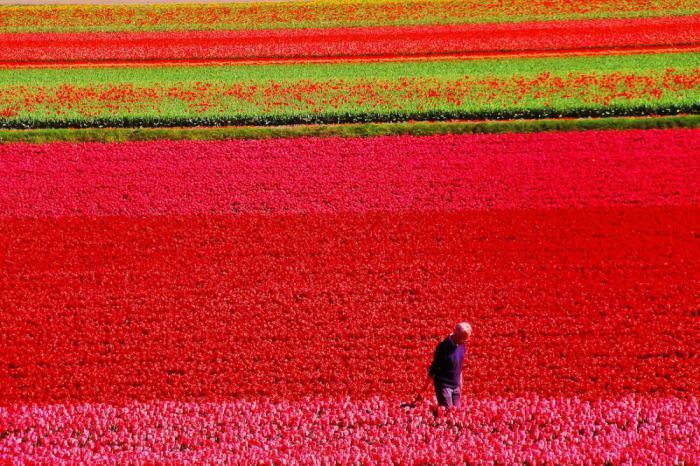 Here is just a huge number of tulips. the Festival Participants bulbs are planted in the Park each fall. with the arrival of spring they have bloomed. 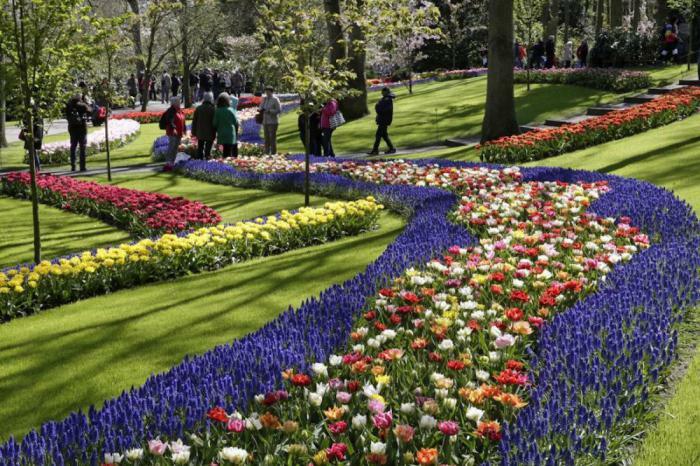 In the Keukenhof in advance a draft design for the participants. 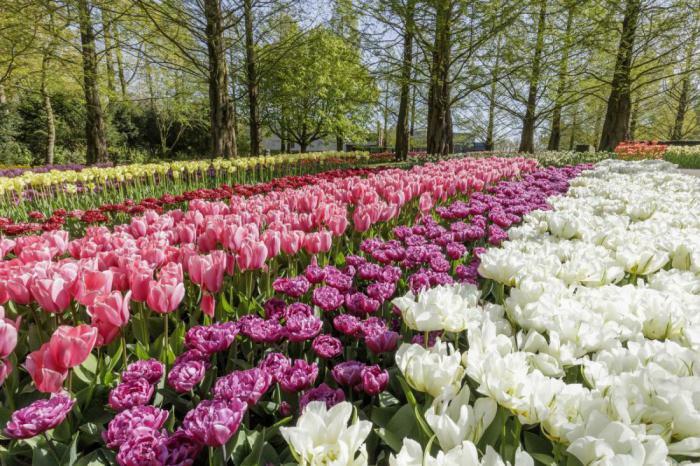 Even before the landing takes into account color, height and time of flowering tulips. 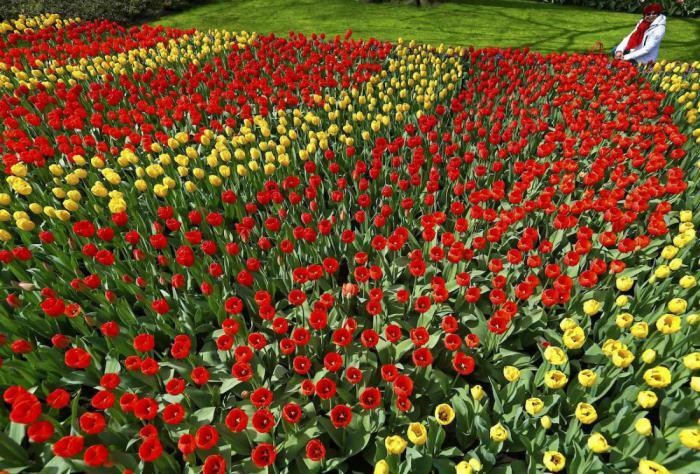 the flower Beds is perfectly organized, in the preparation of any one flower is not forgotten. 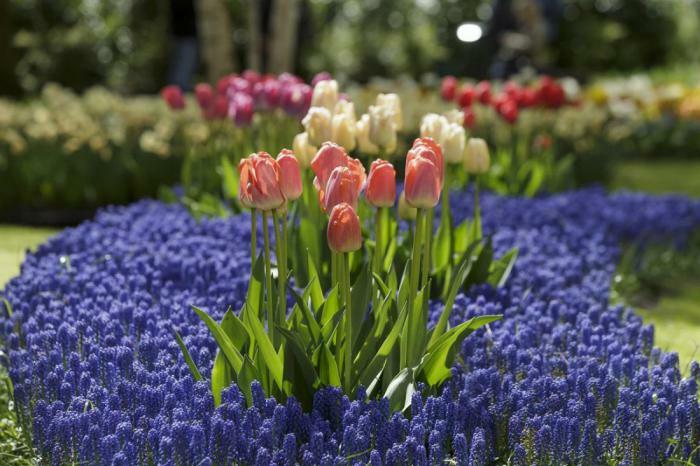 the Festival for gardeners is a significant trade event. 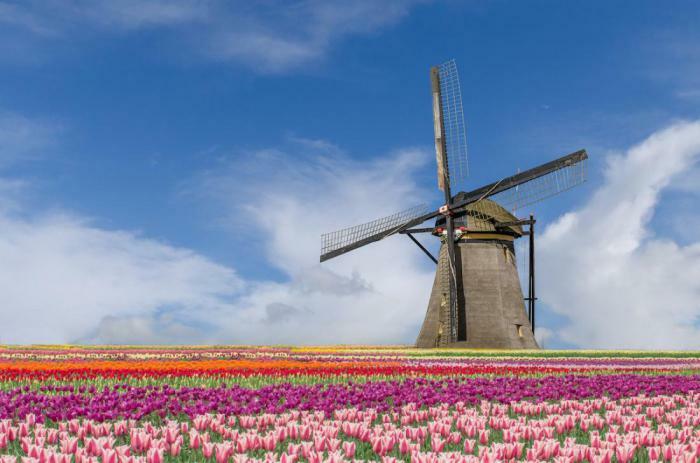 On the planet is one of the most beautiful places to admire spring flowers. Master class. 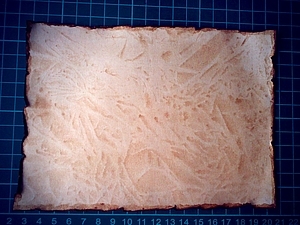 Decorative toning of paper.